The laptop died so I’m using my old PC. I found some fun things on it like a quicklink to Neopets. 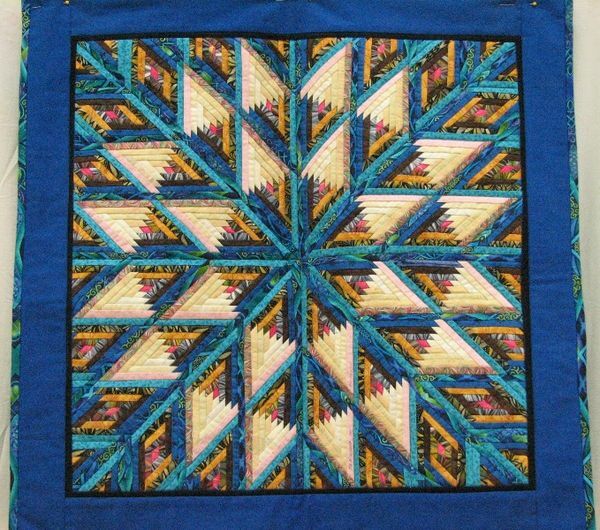 There was also a folder with photos of quilts I liked back then. Thought you guys might enjoy seeing some of them. This is one part of a series so you can experience a few at a time. I don’t have any makers’ information on these. If you have any information on them please contact me. I’d love to know and share it. 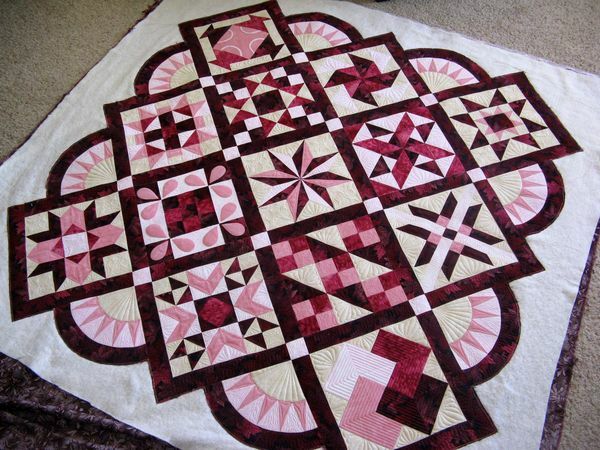 This is such a cool way to set sampler blocks. I also like the strict color palate. Here’s a fun kids’ group quilt. 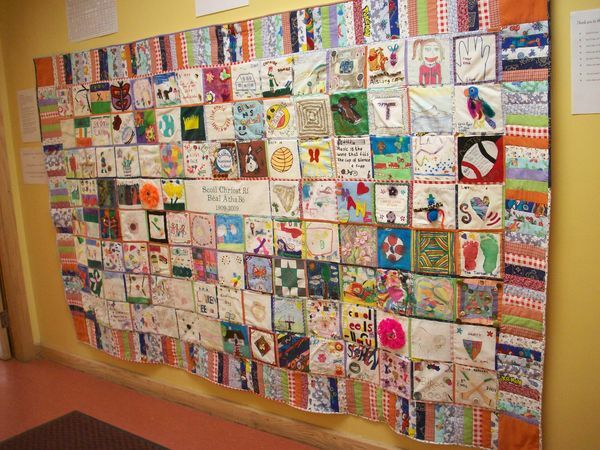 It looks like each child was given a square to decorate then someone made them into a quilt. What a great man-friendly quilt. I love the sashing fabric. Simple and striking, this pattern would also be fun with novelty fabrics. I love the movement this shattered style makes. This would be great over the fireplace in autumn. It’s a log cabin! The blocks are diamonds and it’s stunningly beautiful. 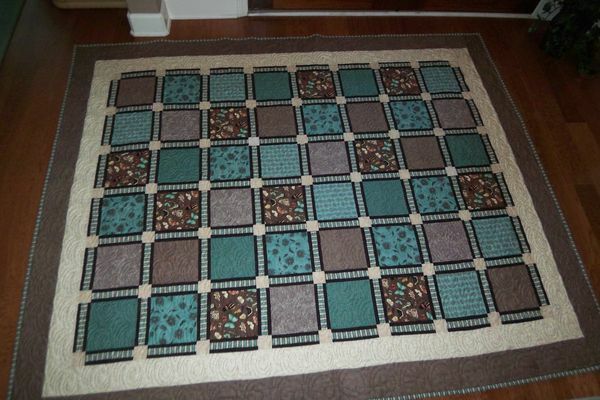 What do you think of these quilts? 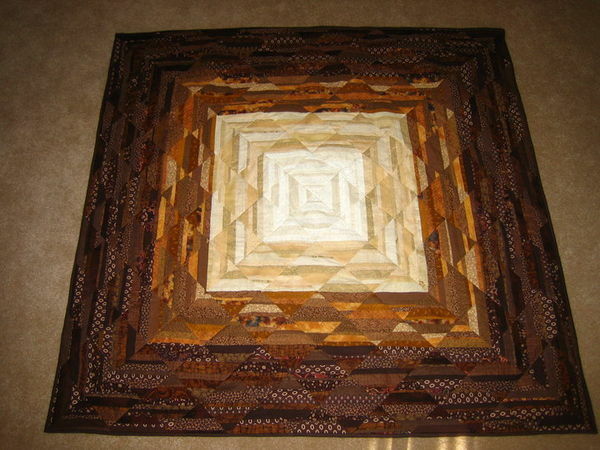 This entry was posted in Critiques, Inspiration and tagged block settings, critiquing quilts, group quilt, inspiration quilts, log cabin quilt, new computer, old computer, sampler quilt, shattered style quilt, signature quilt, striped sashing on April 21, 2015 by quiltartbymegan.